Midweek Prayer Time Tomorrow Evening! Often times, Christians don't see the real need of prayer. David Platt said, "You don’t need prayer when you’re watching TV. And we don’t need prayer when we’re mindlessly surfing the internet. You don’t need prayer when there’s nothing at stake in your walk with Christ. You don’t need prayer when Christianity consists of a monotonous religious motion of routine week-in and week-out. You don’t need prayer for that; you can do that on your own. But when you risk everything to glorify Jesus Christ, you need prayer. When you sacrifice your possessions, your dreams, your hopes, and your career, and you lay it all on the line and you stake your reputation down on your allegiance to Christ, you need prayer." Join us tomorrow night at 6:30 PM as we join together in desperation for Jesus Christ. Don't miss this powerful time of supplication and thanksgiving before our Great and Mighty God! Madness This Thursday, August 1st! Calling all students! Join us for Madness this Thursday, August 1st at 7 PM at the French Broad Community Center! Invite a friend and come ready for some fun! Come Lend a Hand in Our Garden! Thanks to all the green thumbs who have been serving in our garden this season! Join us tonight, July 30th and Friday, August 2nd at 5 PM for harvesting and Saturday morning, August 3rd at 9 AM for community distribution! Thanks for your willingness to serve and show love to our community! Special Men's Prayer Breakfast This Saturday, August 3rd! Attention Men! Join us next Saturday at 7:30 AM at a special location - Davidson River Presbyterian Church! We will be supporting the Shuman family at benefit breakfast! Cost is $5. Thank you for your willingness to reach out to a family in need. Want to Be a Member of BCC? Join us for our Discover Church Membership Class next Wednesday, August 7th at 6 PM. 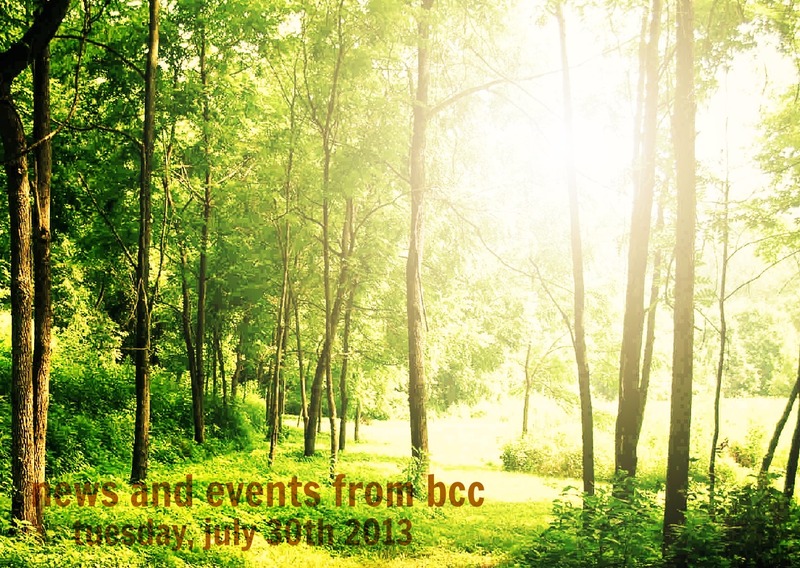 This is a great time to meet our team, hear our hearts, and see what we're all about here at BCC! Dinner and childcare will be provided! Call Bre at 828-884-5932 if you are interested in attending!